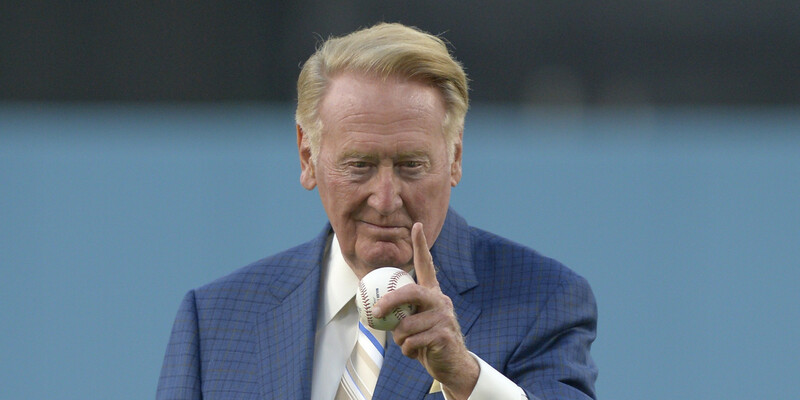 It’s going to be weird today with things opening up at Dodger Stadium, but without the voice we grew up on and had to have; Vin Scully. Joe Davis takes over – he seems solid in a way that a Matt Vasgersian does – but he’s not Vin Scully. When it’s 4:00 and I’m watching Kershaw take the ball at Chavez Ravine and the sky is blue and the California sun is shining, something will feel a bit ‘off’ I suspect. Corey Seager will get a couple knocks. The Dodgers will win, and ‘I Love L.A.’ will be played. But the mystery remains if the magic of Dodger Stadium in Los Angeles can exist at all without the old man up in the booth.